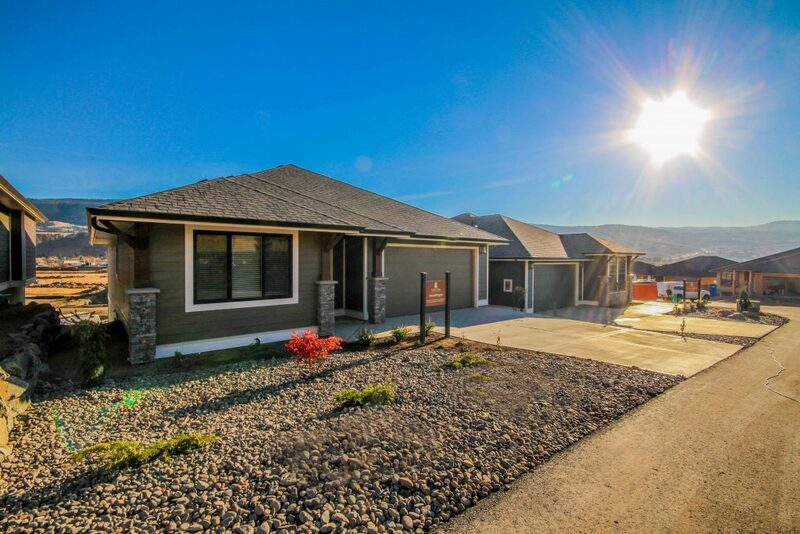 New Development Sienna Ridge: Minutes From Downtown Kamloops at the Foot of Sun Rivers! We are proud and excited to be a part of this new development in Kamloops, Sienna Ridge. 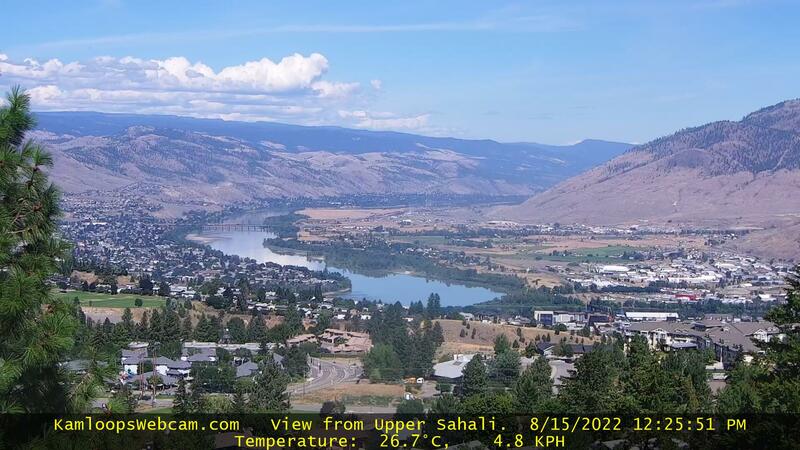 This new adult oriented gated community is located on the South Thompson River at the foot of Sun Rivers and minutes from Downtown Kamloops. Contact us for more information or to set up a private viewing. 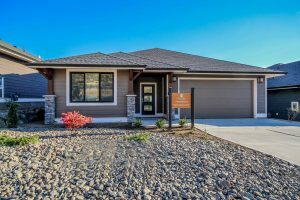 This community features rancher style homes with two bedrooms on the main level including the master bedroom with full ensuite and walk in closet. There is an open great room floor plan with high ceilings and lots of windows for natural light. The view from many of the units is breathtaking! There are many gorgeous upgrades in each home with quartz counter tops throughout the main floor not only in the kitchen but also the bathrooms. The developers are including all 6 appliances with each property. Each home features main floor laundry with a dedicated laundry room, not a laundry closet! Two car garage and a full sized driveway to park those oversized pick up trucks. Click here to view the feature sheet. Once complete this development will house 111 units. There will be beautiful landscaping throughout Sienna Ridge with walkways that reach the rivers edge as well as a community garden. There will also be RV storage for those buyers who need a place to park their boat or RV. Other great features of this outstanding development include: fully gated, pet friendly with no pet restrictions (city rules apply), yard space that can be fenced, development (strata) fee of $335 per month which includes water, sewer, garbage and recycling pick up, snow clearing and all lawn and garden maintenance. You also get the benefit of freedom at Sienna Ridge. Each owner is permitted to add extra landscape features to their own property, xeriscape, more trees, shrubs or flowers; no problem! 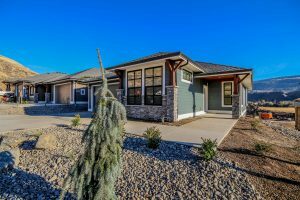 These homes are affordably priced starting at $474,900. Save the taxes! There is not any GST presently charged on these homes. Contact us for unit pricing and to set up a private viewing. 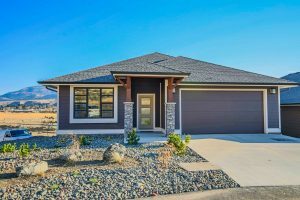 Visit us at the Sales Centre Thursday to Sunday from 1pm to 4pm at 641 Shuswap Road E.
There are 3 floor plans to choose from ranging in size from 1,460 to 1,550 on the main level with similar unfinished basement square footage. Contact us for upgrade pricing and to arrange for a private viewing. Come visit us at the on site sales office Thursday and Sunday from 1pm to 4pm at 641 Shuswap Road E. We have all the finishing and colour samples at our show home to choose from. 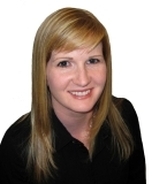 We look forward to helping you pick out that perfect home! For more information about the developer Click Here.